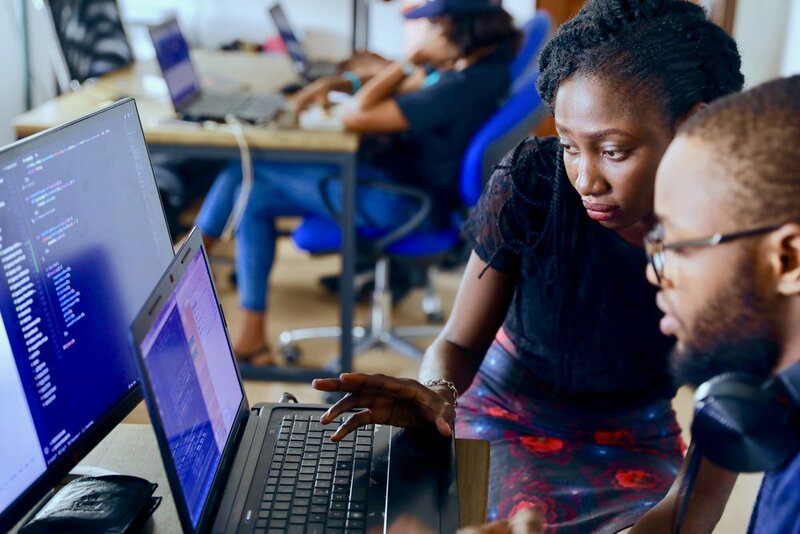 If you’re a company looking to leave your mark on the tech industry by closing the hiring gap for underrepresented groups, technical internships are a great place to start. To achieve equal representation in future boardrooms and C-level roles, we need to work toward equal representation in internships and apprenticeships in technology today. If only a select few up-and-coming students are able to receive real-world experience through internships, they’ll have a leg up for entry-level positions and future roles—we all know how this process works. At Planet Argon, we’ve put a big emphasis on our internship program in recent years. We’ve run several sessions of successful tech internships in the backend development, front-end development, and marketing fields. Through this process, we’ve learned a lot of lessons about what works—and more lessons about what doesn’t work and what we can improve upon. Plus, we have a greater sense of why internships are important for the tech industry as a whole. I’ve put together some tips to share from our experiences. These strategies will help you recruit a diverse candidate pool for your internships and give interns the best possible experience to land a gig in tech after their time with your company. When you depend solely on traditional recruitment methods for sourcing interns (Indeed, LinkedIn, etc.) you’re likely only seeing a narrow section of all the internship candidates out there in your industry. When we first decided to consistently host internships a few years ago, we talked with a local code school to see how we could partner with them to find potential interns. Several years later, we still work with Epicodus a few times a year to host front-end and backend development internships. Beyond code schools, there’s a multitude of diversity-focused organizations that companies can learn from by simply reaching out and making an introduction. Organizations like Emerging Leaders PDX, Partners in Diversity, and PTIX all provide resources and programs that help lower the steep barriers in the tech industry for underrepresented groups through internships. Make introductions to these groups, see how you can get involved and support their mission, and show that you want to learn and do better—this is a great first step. If you aren’t seeing a diverse candidate pool through your internship posting, take a look at the language and requirements you’re using in your internship description. We’re constantly evolving our job and internship descriptions to make sure they accurately depict the skills needed for the job. For example, we’ve removed degree requirements from our job and internship postings. Some of our best interns and employees have been code school attendees without a typical four-year degree. And those that did have degrees rarely had them in anything related to computer science. We’re seeing more and more self-taught developers that are equally as qualified for these roles. If a degree isn’t providing an advantage to potential hires, why include it as a requirement? With rising tuition costs leaving many young professionals drowning in student loan debt, four-year degrees can be a barrier to entry. And while coding boot camps often aren’t cheap, the condensed timeline can help alleviate some costs—and some only charge full-price if you land a job after completing the program. This is one belief we feel quite strongly about in the realm of internships. It’s a big component in our open-sourced philosophy to internships. I think in today’s world we’ve come far enough that we don’t need to tell people that interns are not your errand-runners or coffee fetchers —at least, I hope we’re past that. But beyond that, tech companies are often doing interns a disservice by placing them on “pet projects.” Development interns are often tasked with putting together a small, greenfield app that won’t be used in the real world, or working on an internal project that’s been punted by other developers. When we set out to document how we want to run our internships, we collectively agreed to not do that. So if we have a chance to give an intern real-world experience, we want them to jump in on client projects as well. If you work at an agency, this sounds scary, right? It doesn’t have to be. You’ll need to first make sure anyone that is going to interact with your intern is aware that they’re working with an intern. We find that stakeholders tend to be a touch more patient, thoughtful, and helpful when they’re aware of this. (Not all clients and stakeholders will have the bandwidth to play a part in your internship program, so it’s helpful to be mindful of that, too.) We also don’t bill clients for work done by interns, so if a few small items get checked off their backlog during the course of an internship, it’s an added bonus. As long as you have pull request systems in place, you shouldn’t be afraid to throw an intern on a client project. Their fear of failing will be evident at first, but they should feel supported to try. Reflecting on a few recent interns we’ve had, it's amazing to see how an intern will transition from being anxious about "breaking things" in "the biggest application I've ever seen" to 3-4 weeks later being able to jump around the code base and explain it to other people. Beyond on-the-job experience, an intern’s ability to connect with professionals in their field is the most integral part of an internship. When you bring in an intern, try to find out more about where their passions lie within tech. And frankly, they may not know at first. But during the few weeks or months you’re working with them, hopefully, you’ll learn a bit about what motivates them. If they have a passion for non-profits and want to learn more about how tech helps that industry, connect them with someone on the board of your favorite non-profit that you support. If they love fashion, sports or consumer goods and you know people in those fields that would be willing to meet with them for coffee and provide insight, connect them! It’s scary to start out in a new field where you don’t know anyone. And it’s tough to compete for jobs when you aren’t connected, knowing that others are. So if you bring in interns—especially when they impress you and do great work—try to find people that can lend insight into their career path. If you think a current intern would get along with a previous intern at your company who is now working full-time somewhere else, they can also be a good resource. It’s nice to see proof of a light at the end of the tunnel and connect with former interns who are now working in full-time roles that they love. We keep a spreadsheet with contact info and LinkedIn links for all of our previous interns for that reason. Plus, it’s nice to check in and see where people have moved on to a few years down the line. Internships in tech are often treated as an afterthought—or worse, internship programs never happen at all due to time constraints or fear of failure. But in our experience, working with interns has truly been beneficial throughout our company. Our team hones their mentorship skills, the office benefits from the contagious energy of someone hungry to learn, and we get a small chance to shape the next generation of tech talent. These tips can help you make the most of your tech internship program. And if you have no clue where to start, we’ve written a helpful guide that gets into all of the nitty-gritty specifics for you on how to find, onboard, and mentor interns in tech. Erica Tafavoti is the Digital Marketing Manager at Planet Argon. She loves taking complex topics and simplifying them for the masses. When she isn’t crafting content or whipping up a new marketing campaign, you can find Erica hiking on one of the PNW’s stunning trails or hanging out with her two rescue mutts. She moonlights as a foodie on a quest to find the best eats as Bacon & Braids. Connect with her on twitter and LinkedIn.